Easy-to-use DICOM apps for non-professional users. 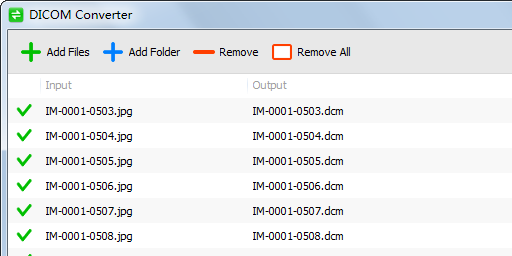 Convert JPEG, PNG, TIFF and BMP images to DICOM format. Support most of DICOM formats: RAW, JPEG, JPEG 2000, JPEG-LS, RLE. 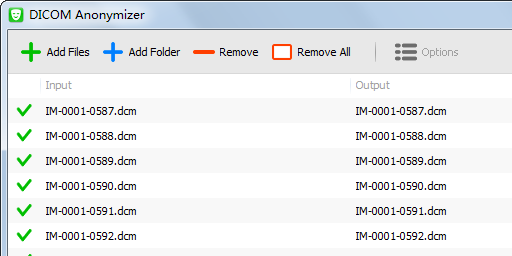 Integrate with your Windows Explorer. 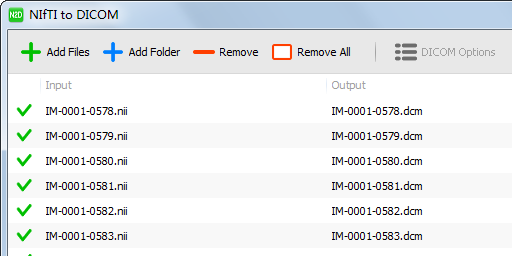 You can also empty or remove privacy information from DICOM files. Support popular video formats: MP4, FLV, AVI, WMV, MOV, 3GP, MPG. 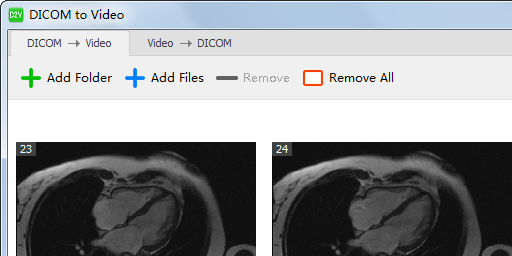 Convert video file to a series of DICOM images. Allow you to custom GIF resolution and frame delay. 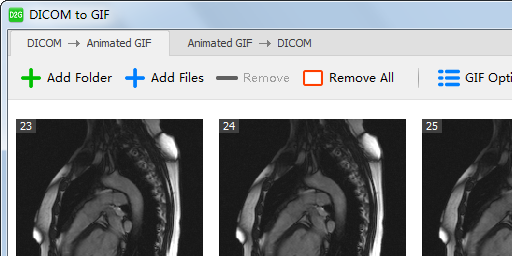 Convert GIF animation to a series of DICOM images. Convert DICOM images to JPEG format. Support NIfTI file format: .nii, .nii.gz, .nia, .img/.hdr, and .img.gz/.hdr.gz. Convert NIfTI images to DICOM format. 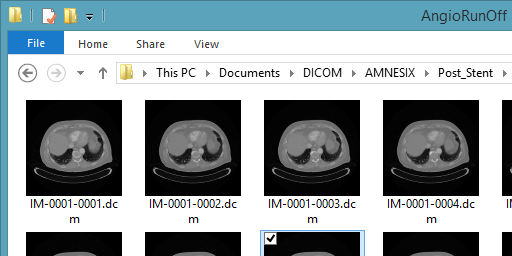 Display DICOM thumbnails in your Windows Explorer. 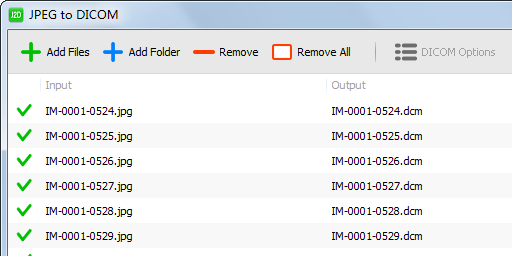 Support custom thumbnail size (Windows XP only).